OASE Gravity Eco Pond Pumps are designed for use with gravity-fed pond filters and offer very low running costs and 5 year OASE warranties. OASE Aquamax Gravity Eco pumps are designed for high flow, low lift installations such as swim ponds and gravity fed pond filters with bottom drain feed. The range consists of 3 models producing flow rates up to 18,000 litres per hour, Ideal for use on modular filtration systems such as the OASE ProfiClear Premium automated Drum Filters. 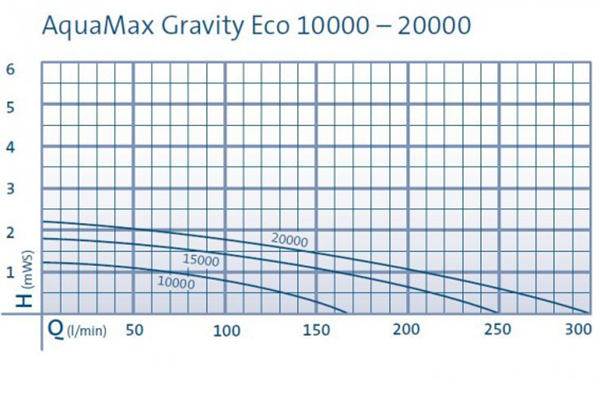 OASE has developed the AquaMax Gravity Eco to provide incredibly low power consumption in gravity-fed scenarios with minimal running costs due to ‘eco’ motors and low vertical lift. These robust pumps carry a full 5 year OASE Guarantee. 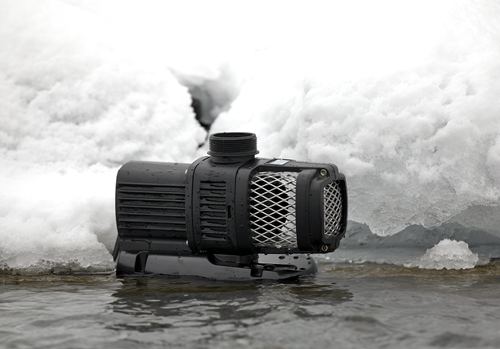 The AquaMax Eco Gravity can also be used submersed in ponds to pull water through surface skimmers such as the OASE ProfiSkim 100, closely coupled directly to the inlet of the pump. This will provide excellent suction rates whilst keeping running costs to a bare minimum. The three models within the family range from 10,000 Litres/hour up to 18,000 Litres/hour and can handle solid waste particles of up to 6mm. The inlet and outlet on all 3 models are 2” BSP Male threaded, ready for connection to a hose tail and flexible hose but can also be connected to the supplied 2” BSPF/DN110 adaptor for rigid pipework connection.